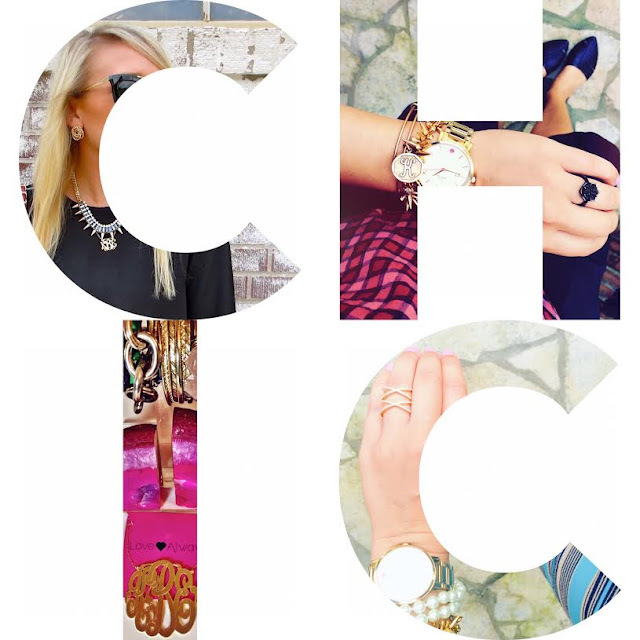 Want a sneak peek into Chic + Shimmer's jewelry box? I definitely have a flare for both statement and everyday jewelry. Big or small, accessorizing is key in styling an outfit. Today I'm sharing a few of my everyday pieces out of my jewelry box! Okay, okay, okay. This one might be obvious because I never take it off! There's a reason for it though, you guys! It is probably my favorite go-to piece of everyday jewelry. Sure I wear it every day but the style of it is never worn out. I get a compliment on this piece every week. It's a great alternative to a simple gold bangle. It takes the idea of a simple bangle and adds something extra to your arm party. It's on my shopping list to buy one in the silver color as well! This is such a great everyday gold ring. Before I spotted this one, I wore crystal mason ring (also from BaubleBar). This ring in particular caught my eye when I saw it on Emily Gemma from The Sweetest Thing (check her out if you haven't already!). It took my little "x marks the spot" ring and bumped it up to the next level. The extra sparkle adds a tasteful amount of shimmer to your daily life. It's true, I'm more likely to use my phone to check the time than my own watch. Silly, I know! However, watches are such a great piece to have in your jewelry box to wear every day. Since I'm a gold jewelry kinda gal, having an all gold watch is absolutely must. That being said, I do like to break out the silver every now and again. On days like that, I love that I have my gold and silver watch to mix it up a little bit. This exact monogram necklace is a recent addition but I assure you, I will incorporate this piece every day one way or another. I've always had a smaller monogram necklace that I wear from time to time, but then I spotted this one on nearly every style blogger out there. It's over-sized and just the right every day piece that you've been looking for. As Don Draper would say, "Make it simple, but significant". These stud earrings are often times looked over because of how simplistic they are. However, having a simple pair of stud earrings in your jewelry box is extremely significant. On days when you've overloaded your arm or neck with statement jewelry, this pair of earrings is perfect to have around.